← Under Armour looking to be BIGGER and BETTER! 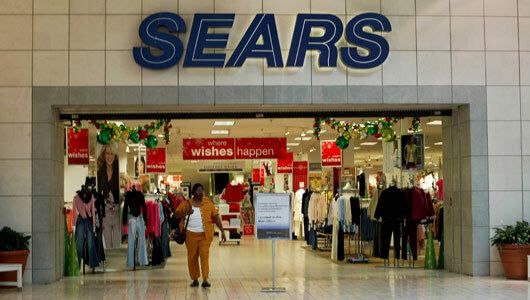 Sears has been lagging in sales for a long time and many analysts and experts believe it is because of the lack of investment in the physical stores themselves. This posts mentions Eddie Lampert the new CEO who made his first big mark with Autozone and their turnaround however many think he cannot do the same with Sears because a Sears or Kmart shopper cares more about the shopping experience and the aesthetics of the store. All of the new initiatives mentioned are all online and have Sears competing with giants like Amazon and other technology firms. This is an uphill battle that Sears faces and it might be difficult to compete and return to profitability. This seems to be a really hard problem to solve. We’ve seen many legacy companies struggle to come into the new millennium like Motorola, Circuit City, and Blockbuster. Sears is no exception. My initial reaction was, ‘they should be more like Amazon’, and I think that is a very typical reaction today. However, I think the problem is more complex. You can take a catalog company and turn it into a successful retail chain, but you can’t take bricks and put them in the mail. It’s good to see that Sears is actually trying to turn their number around. I do think the technology upgrades they are doing may be too late. This sort of plan may have worked better if it was four years ago or so. Technology moves at such a fast pace, stores like Sears really need to plan according to keep up with technological advances. Sears is such a big company that has been around for a number of years. They had so much power at one time, not to mention being a home grown business created right in Chicago, that the tallest building in Chicago was named after this company. Yet, lately Sears hasn’t been doing to hot. There numbers are down and their laying off employees. I feel that all these comments are saying great things and this post does a good job discussing the predicaments of Sears. Yet, Sears has found a way to slowly come back from what they were doing wrong and I feel that the CEO of Sears is doing the right thing. As for those changes, I have not noticed them as much, but I do believe from reading this article, that their sales have improved and they have found a way to get back into the market. Sears need to invest more on changing the quality of products rather than wasting money on “iPads” for say. I recently have shopped there, and the use of iPads slowed down the transaction process. Yes, its fancier and more technologically advanced but it is inconvenient for customers. I was amazed at how transactions were being run through the iPad, but there were so many glitches that it took longer than it would have with a register. I can easily see people getting frustrated waiting in lines because the iPads are slowing down the process. Yes, technology is a huge part of operations management; but I believe that Sears needs to market and advertise themselves better. They need to bring the customers in somehow and that should be their biggest concern. Sears has been around forever, and even though everyone knows about it not many people actually shop there. 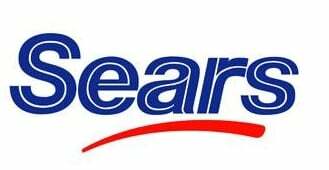 The physical appearance of the store sure has its negatives, but I also believe that one thing Sears should really consider is changing their name, and logo. Being in the 21 century the lettering seems very outdated. By changing the font style and making it more modern, I think sears might attract some customers as well. Along with that they can do some remodeling which will change the overall image of the company, and together it might actually bring results.